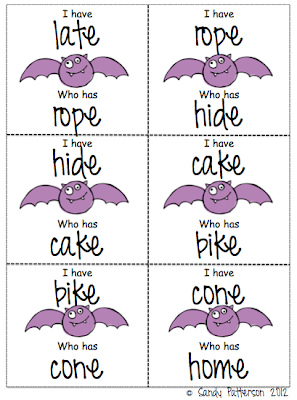 I always feel a little batty on Mondays...so today was a PERFECT day to start our unit on bats! 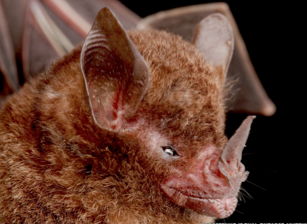 There was information on the back of each card about their type of bat, and they were the "experts" today on their species of bat. Once they got there, they posted everything they know about bats on the "wall" with "stickies". Very interesting, and not so bad for our first time! (This was our first time using WallWisher, and it was a little if-y at first, but we finally got the hang of it. But just for the record, there were tears and lots of frustration while we were learning how to make this work for us...). 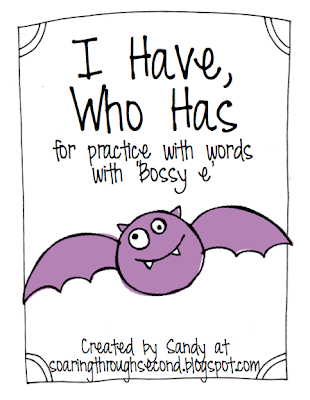 At our end of the day circle, we played I Have, Who Has with "bossy e" words (that's our spelling focus this week). You can click the picture to grab it!!! I'll be back soon to share more about our bat unit!!!! Love the balloons! How fun!! LOVE the balloons! What a fun way to get your kiddo pumpled up about bats right when they walk in!! LOVE this idea!!! Where did you get your bat cards? I bet your class was SO excited to get started! :) What great motivation! Thank you so much for the freebie- can't wait to use this with my intervention kids!